The email purports to be from Facebook, but is of course actually from hackers pretending to represent the company. 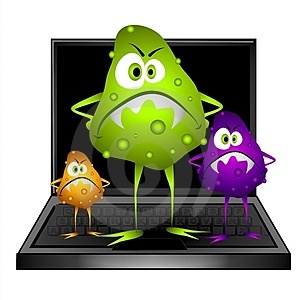 Last month, Sophos detected a similar virus that was disguised in photographs. However, in the previous virus, the sender misidentified “Facebook” as “Faceboook,” with three O’s, but the slight typo isn’t very noticeable if you’re reading fast. “Even if you didn’t notice that ‘Faceboook’ was spelled incorrectly, you could have seen by hovering your mouse over the link that it wasn’t going to take you directly to the genuine Facebook website,” Sophos said at the time. It’s ultimately, if somewhat unfortunately, up to responsible Internet users to wise up and educate themselves to avoid these scams and viruses. Socially engineered attacks like this are on the rise and always active on social networks in some capacity. If something seems suspicious to you, simply don’t open it and report it. These are easy mistakes to avoid, yet hackers take advantage of people’s trust of the social networking giant to spread viruses and other malware. Just remember: if it looks like a scam, it probably is.